If you have a whistleblower case that you would like to report, do not hesitate to discuss the matter with our team at The Wallace Law Firm, LLC. Our Atlanta whistleblower lawyer has handled numerous whistleblower claims involving a wide variety of entities and situations.  We can review the specifics of your case to determine whether we can help. You are not only doing the right thing by reporting the fraudulent activity, but you may be entitled to a portion of what the government recovers. Get started today with a completely free, no–obligation consultation. Fill out the case evaluation request form below to get started.